Blend tofu in food processor with syrup, extract, milk and banana. Add sugar and process until well combined. Spread evenly into crust and refrigerate for two hours to set. 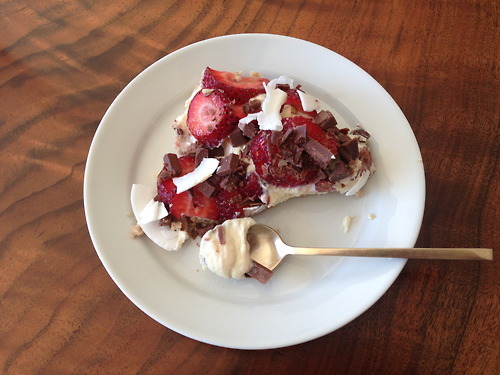 Top with strawberries, chocolate and coconut and serve!